A standard six couple who died on Monday after being struck by lightning while having a chat at a maize field have been buried in the same grave on Wednesday January 18. 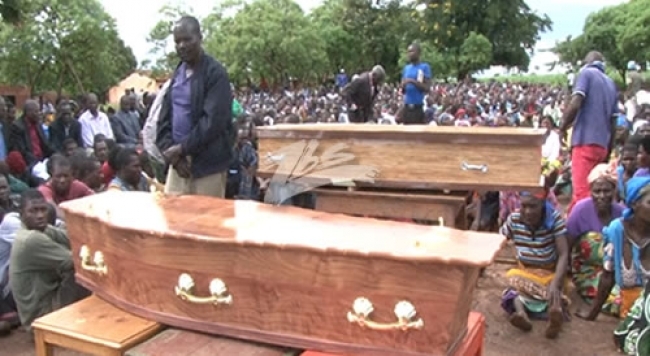 The bodies of the deceased couple identified as 16-year-old Anderson Yohane and 12-year-old Patricia Guwe have been buried in Mzondo Village in the area of Traditional Authority Chitukula in Lilongwe. 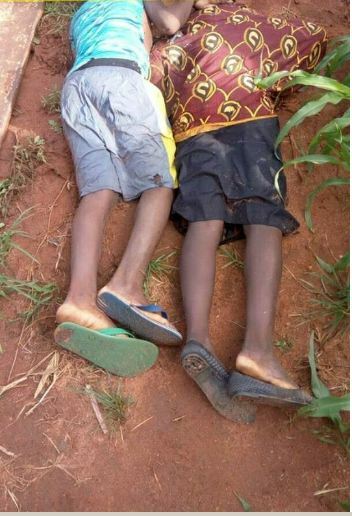 The couple died on 15th January at a maize field where they went for a chat a few meters away from their homes. While there, it started raining and thunderstorms were also experienced. It was learnt that the two did not report to their homes until their bodies were recovered on Tuesday morning the 16th of January. They were later taken to Kamuzu Central Hospital where a postmortem revealed the deaths were caused by lightening. In his speech during the burial ceremony, Village Head Njuzi of the area told people not to judge the two as such tragic accidents could happen to anyone at their unplanned time. Also the representative of village head Chimombo said the passing away of Anderson has created a huge gap in his Chieftaincy as he was in line to be the future King. Meanwhile, the arrangement of the burial of the deceased couple was said to be normal in the area as it is used whenever they need to bury two people who were close to each other upon approval of family members.